Biskit was born with a tennis ball in her mouth. Flyball was “HER” sport since the day she realized she could run, grab a ball and get a treat all for doing something she loved. She earned her Onyx in March 2010 and her FGDCH in June 2011. 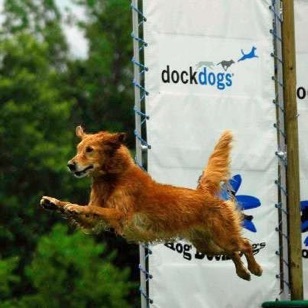 Due to an injury to her paw, she was forced to retire from the sport of flyball. Luckily she found a new sport to enjoy...dock diving. 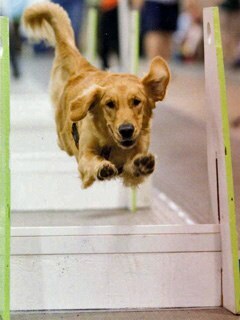 Biskit dabbled in agility and earned her CPE CL1 title. Obedience was okay if you “had to”, so a CGC was fine with her. 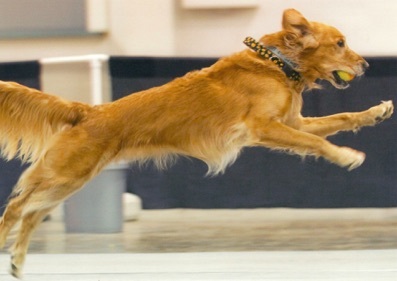 She took a spin around the dance floor in Canine Freestyle but wasn’t quite sure if it’s as much fun as flyball or dock diving. Bisket passed away from hemangiosarcoma on October 11, 2017.